Indeed, songs like “Falling Apart” sound more like Linkin Park at their most self-effacing than any kind of blood-and-gore circus rap. It may still surprise outside how Shaggy 2 Dope and Violent J rap about faith in a higher power to defeat evil on a track like six-minute-plus album closer “I See the Devil,” but it won’t be jarring to longtime fans familiar with the group’s born-again about-face The Wraith: Shangri-La. 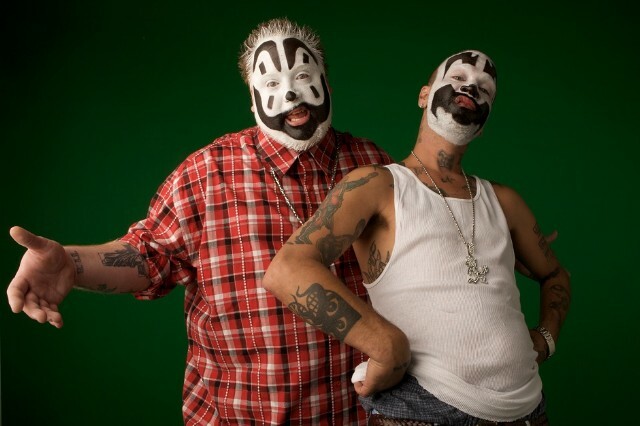 Regardless, ICP are born entertainers and the first single “Vomit,” indeed delivers the grotesque goods. Stream The Marvelous Missing Link: LOST below.